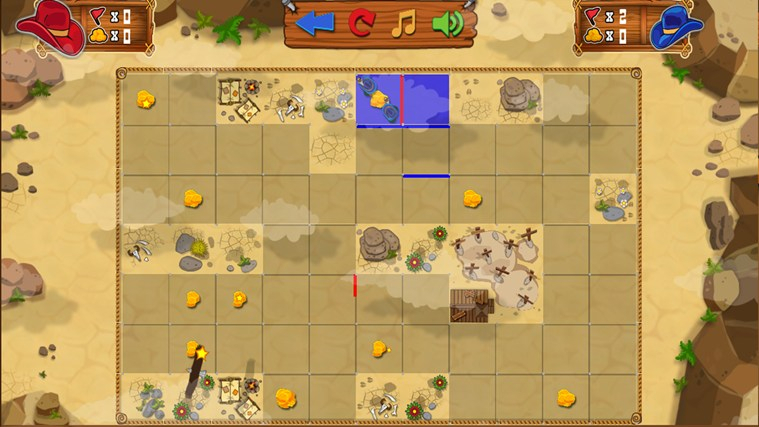 Staking Claims is a free mobile and web strategy game. It is a digital version of the ‘old school’ pen and paper game, Cheese Squares. 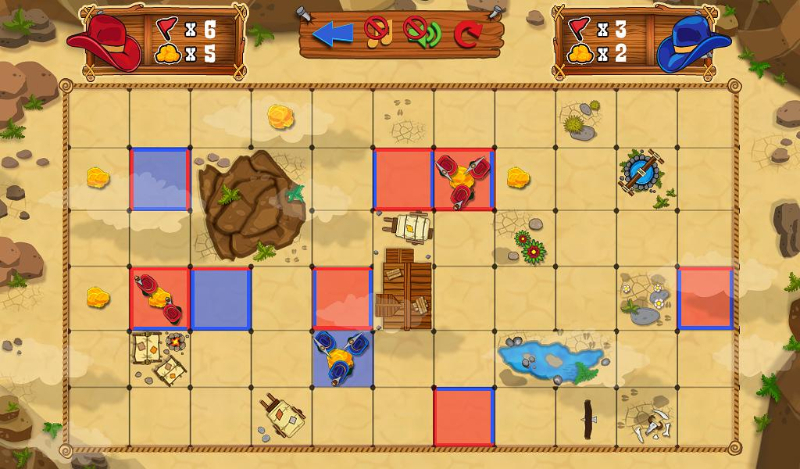 Players take turns to draw lines onto a square grid; the idea being to complete squares to secure them. 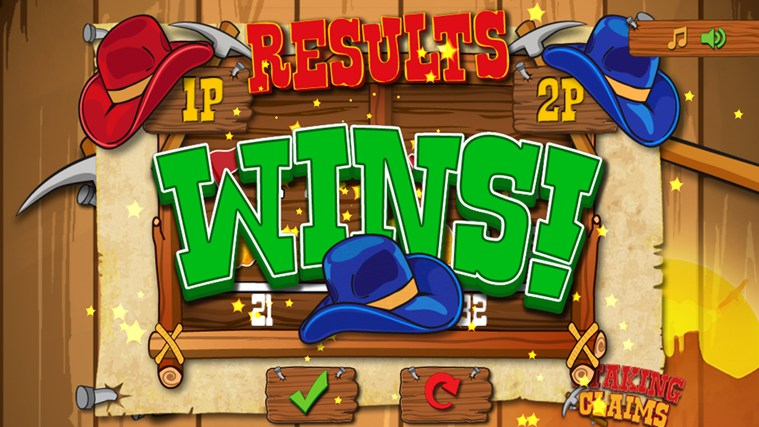 Exclusively Mobile: Staking Claims is a purely mobile game, available on multiple platforms. Multiplayer support and gameplay have been optimized for use on mobile devices. Based on Pen and Paper Game: Based on an existing grid-based game, Staking Claims has a strong foundation of gameplay. Rules and features are pre-set, and there aren't many surprises. It's designed for casual play with friends. Gold Rush Theme: It isn't often that a game uses the aesthetic of the California gold rush. While Staking Claims is essentially just a board game, this style is rare, and worth mentioning.